If you put in an objection to the Craighouse development, you should have received an email from planning. 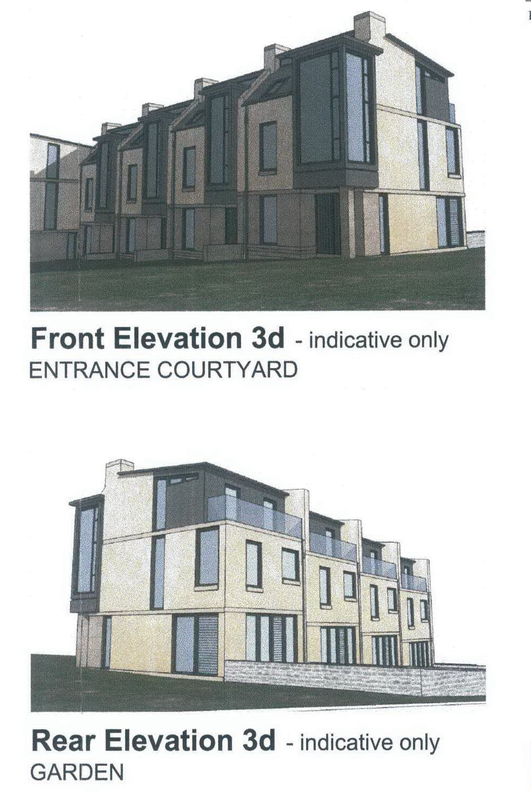 This email informs you that there is more information that has been submitted by the developer after the planners wrote to them on the 10th December about inadequate information and factual inaccuracies in their application. The developers were supposed to submit this by the 11th Jan, but failed to do this. They have now submitted something and there is now until the 29th March to submit any further comments/additional objections. Please note: The actual plans have not changed and so the original objections sent in should still stand. We will be looking at this further information in detail. Presently, it appears to be very unsatisfactory – particularly as they have – yet again – failed to release proper financial information to the public, despite the fact that enabling development is viewed as a public subsidy and therefore should be open to public scrutiny. There is no evidence that they won’t make a profit on simply converting the existing listed buildings. The information fails to show the excessive newbuild is necessary to make the scheme viable. To be considered “enabling development” they must show there what is called a “conservation deficit”. A “conservation deficit” calculation is supposed to prove that that a site cannot be converted to a new use in a financially viable way. We have always argued that this site can be converted to a new use in a financially viable way. This calculation has been submitted to the council, but is completely secret, with not even a summary released to the public. So there is no evidence provided that the excessive newbuild is necessary or a minimum or that site can’t be profitably converted that the developers are prepared to put to any public scrutiny at all! They say that the buildings are more important than the landscape and therefore the landscape can be sacrificed for the sake of the listed buildings. (I think the local community would disagree about that. The Friends’ view is the buildings and the landscape are part and parcel of what is special about Craighouse – and both are part of the Historic Scotland Listing and both are covered in protections at a local and national level. Surrounding listed buildings with ugly newbuild is also to the severe detriment of the listed buildings themselves.) It is also not made clear how the development serves to protect the listed buildings, as they have given no figures to evidence the new development being necessary or being a true enabling development. Interestingly, the documents make clear that a grant for the Category-A listed buildings would normally be available from Historic Scotland – but not in this case because the developers are making too much profit. They want to pay themselves £7.5m in “professional fees” in addition to the profit they are taking. (Ie, this is in addition to the profit being made on the scheme, the profit on the construction being paid to those doing the development (undisclosed), the chunk of profit given to Napier University (not mentioned) and the profit made by Mountgrange (quoted as being £7-10 million). This, also, despite the fact a huge amount of this work should have been undertaken already for the application with William Gray Muir claiming they have already spent a million – so what is this money for exactly? They say the cost of the scheme is £58 million, despite the fact the construction costs of the listed buildings should be well under £22million. From written information obtained from William Gray Muir the listed buildings conversion should be a lot less than £22m (going on the figures he has quoted – around £18 million). New-build should be cheaper than old, so these figures should be broken down properly and released for public scrutiny. Happily, it is easy to see a very easy way for the developers to reduce the costs at a stroke – by taking away the excessive new-build! Interest on the borrowing. Now, despite claiming to have the cash and despite insisting that they would not need to borrow for the development when we met them last year, there is an unexplained bank loan included for borrowing what appears to be described as “100% of the development costs”. This simply makes no sense because they simultaneously say this borrowing will be £10 million – which (according to their summary) is only a sixth of their construction costs. If they borrow only £10 million and then do a small part of the new-build and sell on and then use the money for the next part and so on and so forth – this results in a massive return for Mountgrange (nearly 100% return on an initial low investment.) 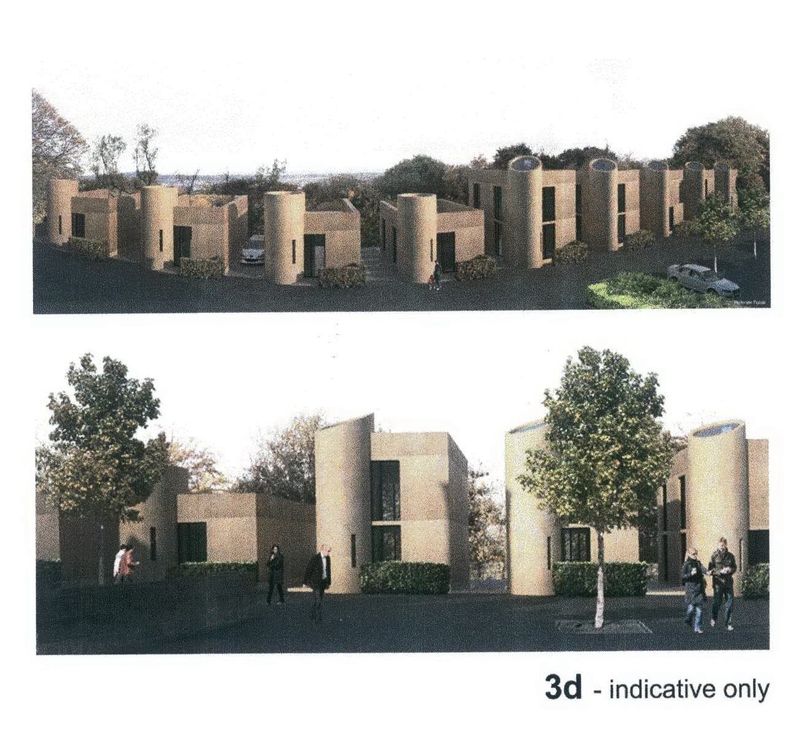 Such a system would result in great results for Mountgrange but huge risks for the site and will take years to complete – whilst the site remains a mess. As we know, their plan is to leave the important, biggest building New Craig, until last – putting this important building at risk for potentially years. Indeed, the question remains – if, as they want us to believe, the listed buildings are not profitable on their own, what is the incentive to even complete the project after the “profitable” parts are done? Unfortunately this section simply doesn’t make sense or add up. Despite two years on this project, the Craighouse Partnership have yet again shown they are incapable of providing a proper worked-out financial argument. They say they pay corporation tax of £2.5 million. This, despite being registered off-shore in the Isle of Man. The documents also say the developers would be able to make more profit by making more apartments out of the listed buildings – They originally proposed splitting the buildings into about 90 units, but as their financial argument has changed, the numbers in the listed buildings have dropped to 66 (as opposed to over 80 newbuild properties). They say that it would be more financially advantageous to them to split the listed buildings into more units but claim they are not doing this due to sensitivity to the buildings. Well, two things here: if this was the case, then obviously the protected landscape and setting of the Listed Buildings should not be sacrificed for such a reason. And secondly, according to the Craighouse Partnership elsewhere in their documentation, they are valuing on square footage – NOT by numbers of units. So, none of this adds up (as usual) or makes any sense. (NOTE: LISTED BUILDING CONSENT REOPENING FOR COMMENTS ALSO) It is worth noting that the Listing Building Consent is also being readvertised and is open for objection and comment once more. Whilst people don’t object in theory to the development of the Listed Buildings, I myself put in an objection to this saying that as the scheme was being considered as a whole and claimed to be interdependent – that therefore the LBC should not be granted unless the whole thing made sense. Councillor Gavin Corbett was astute in picking up that the Listed Buildings issue should be looked at again if the developer was claiming that they could only have a few units. If the Craighouse Partnership are maintaining that they should be allowed to destroy and exploit more green space for this reason – the Listed Building Consent should be refused and the break-down and division of the listed buildings and their conversion looked at again. See base of this article for more info on the LBC). We cannot see any kind of conservation deficit calculation being presented to the public. As “enabling development” is seen as a public subsidy, the assumption is that the value of the site must be marked as zero and the financial information released for public scrutiny. (Note – Enabling development is an idea that can help derelict sites that have no other options whatsoever. Even then, care has to be taken not to destroy landscape and amenity. Craighouse – having had many bids and much interest and being set in a prime residential area – is NOT in this position. ) Craighouse received numerous bids, a number of 10million+. Its value is certainly not zero but many millions. Enabling Development is not to be used to give easy additional profits to developers by pushing through planning policy. You cannot pay anything you like for a site and then claim you must be given enabling development. Think about it, if the system let this happen then unscrupulous developers could outbid other more reasonable developers who have reasonable plans. Such a system would reward speculators and the irresponsible. And that is what the rules surrounding enabling development seek to avoid for our most sensitive sites. 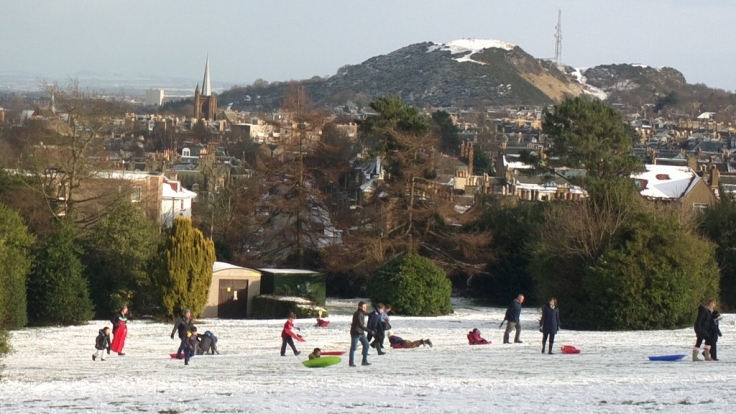 However, this is completely inconsistent with what The Craighouse Partnership have said elsewhere in the application, in press releases and to the general public at large when they have claimed that Easter Craiglockhart Hill and other parts of the grounds will be in public or community ownership – which would remove all financial burden from any future residents for these areas. So why are they stating that Easter Craiglockhart Hill (the nature reserve) will be owned and managed by the future residents? Again, this does not add up. First, the argument for Napier offloading Craighouse was not just about costs but because of all Napier’s sites it had the “greatest potential realisable value”. (As quoted in minutes of the Scottish Funding Council when Napier asked them for permission dispose of Craighouse). As to the White Young Green report (a forward-projection report done for Napier), the Friends have already shown, the vast majority of the costs shown were nothing to do with maintaining the buildings or the grounds but were electrical and mechanical costs – ie costs associated with running a university. If you remove those costs you come up with the historic maintenance costs of Napier that were finally obtained under an FOI – i.e. approx £150,000. So why are The Craighouse Partnership quoting the White Young Green without making that breakdown clear? We will continue to push for the proper release of financial information – as it should be – to the general public. The developers are trying to argue “commercial confidentiality” but the conservation deficit should relate to the site itself, not the individual developer, therefore there is no reason of “commercial confidentiality” why this financial information should be being withheld from the public. We will be submitting additional comments to our original letter of objection based on a close reading of the new information including some of the above. Remember – your objections will all still be held to be valid according to planning. However, if any of you didn’t manage to get your objection in in time last time – this is an opportunity to submit one now. Email emma.wilson@edinburgh.gov.uk. Here are some material planning considerations to include. The deadline for new objections is 5th April (note not 29th March as previously stated) for the full planning consent and 5th April for the Listed Building Consent. In light of their claims about units (see above), it would be worth putting in objections to this also.